The Company Ruin Luciano operates in Lusia, in one of the most fertile and productive agricultural areas in Italy: the Polesine, a flat land between the two largest rivers in Italy, the Adige and the Po. The local economy is based mainly on horticultural agriculture and on typical products such as the “Lusia PGI salad”. 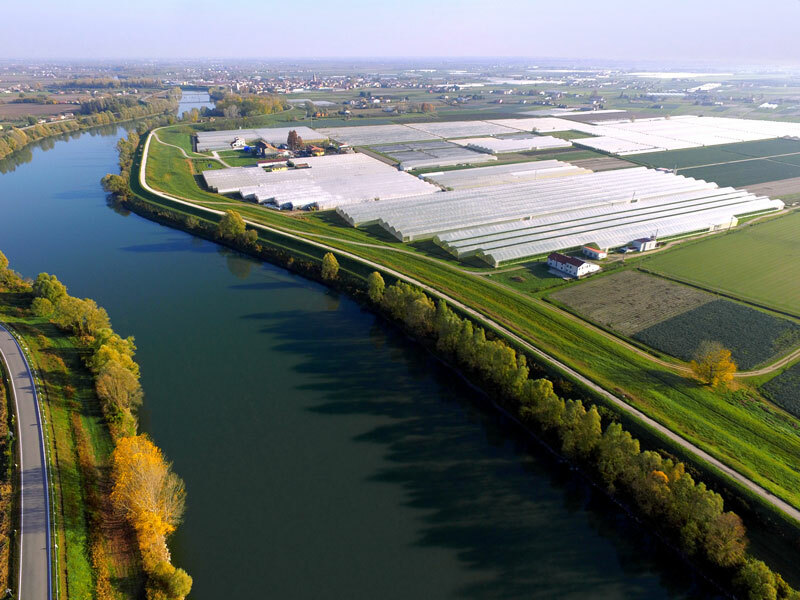 The municipality is home to a wholesale fruit and vegetable market, created in 1955 on the initiative of the Chamber of Commerce of Rovigo with the name Central Fruit and Vegetable Market. The market, which currently covers an area of 45.000 square metres, treats the regional products and is part of the Special Company for the Fruit and Vegetable Markets of Lusia and Rosolina.